Gun control has always been a hot topic in the U.S. Early colonists relied on their guns for both hunting and protection. Had they not had guns, they would have had a difficult time winning the Revolutionary War. After the war, most Americans fiercely defended the right to keep guns. As Americans moved west, they relied on their guns again for protection and to hunt game. 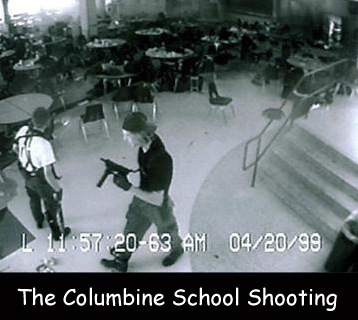 After the Columbine school shootings in 1998, many people began talking about the need for stronger gun laws. During the 21st century, gun laws became a bigger concern because of several mass shootings. Although the laws vary from state to state, most states require gun owners to pass a background check and register to own a gun. States also have restrictions on the types and numbers of guns one can own. On December 14, 2012, Adam Lanza entered Sandy Hooks Elementary School in Newtown, Connecticut. He shot and killed 20 young children, the principal, and six staff members. Lanza killed his mother earlier in the morning. He killed himself as police officers arrived at the school. On November 29, 2015, a gunman entered a Planned Parenthood center in Colorado Springs, Colorado, killing three and injuring 9. He was angry over the center’s abortion activities. In October, 2015, Sean Harper-Mercer shot and killed eight students and a teacher at Umpqua Community College, where he was attending school. Harper-Mercer was a white supremacist who hated religion and people of color. In June, 2016, a gunman killed 50 people and injured 53 at a gay nightclub in Orlando, Florida. In the instances listed above, the gunmen or women often suffered from mental illness. Sometimes these people are angry at a certain group because they disagree with or feel threatened by that group’s values. Most gun-related injuries are accidental or occur in small fights between people who know each other. Question: How can I stay safe with guns? Answer: It’s important to know that not every person who owns a gun is a bad guy. Many good people own guns, including police officers and hunters. These people understand guns’ power and treat them with respect. If you see a gun, even if you think it might be a play gun, do not touch it. Leave the area and tell a grownup. If a friend tells you he or she has a gun, leave and tell an adult. Question: Do stricter gun laws work? Answer: Probably. Some of the states with the strictest gun rules, such as New York, Rhode Island, and Massachusetts, also have the fewest incidences of gun violence. Visit Kids’ Health to learn more about gun safety. Declan, Tobin. " Gun Control American Facts ." American History for Kids, Apr 2019. Web. 22 Apr 2019. < https://www.americanhistoryforkids.com/guns-in-america/ >.